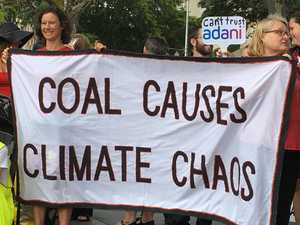 About 800 people have attended a rally in Gladstone on Monday, pushing for changes to the China-Australia Free Trade Agreement. 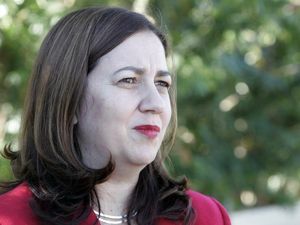 News THERE were plenty of Curtis Island workers at Monday's union rally, despite earlier fears their days off may have been cancelled. 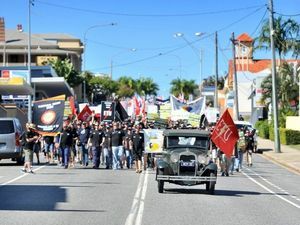 News TWO thousand Gladstone workers vented their anger yesterday afternoon in a loud political rally against the Australia-China free trade agreement. 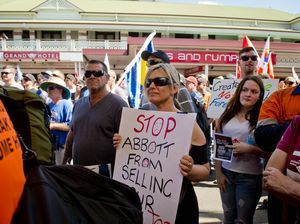 News ABOUT 2000 people have attended a rally in Gladstone today to push for changes to the China Free Trade Agreement.